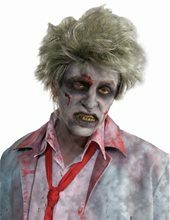 Zombie Grave Adult Wig.Includes: One Zombie Grave Adult Wig. Available Size: One Size Fits Most Adults and Teens. *Costume and Accessories Not Included. Sold Separately. Get that risen-from-the-grave look with our Grave Zombie Wig. 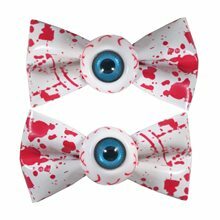 It will assist in giving you the flesh hungry undead monster appeal. 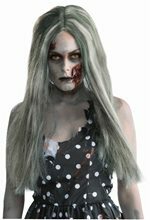 Our Grave Zombie Costume Wig features a blend of grey and green hair in a messy, tousled style. 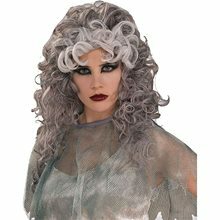 Use this costume wig as an accessory to your walking undead or zombie monster costume to give it that creepy, dead look. 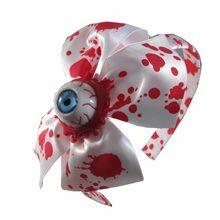 You will look like something from out of the video games Dead Island, Plants vs. Zombies and Left 4 Dead! Creepy Zombie Adult Wig.Includes: One Creepy Zombie Adult Wig. Available Size: One Size Fits Most Adults and Teens. *Costume and Accessories Not Included. Sold Separately. Features creepy long zombie wig in a dull, dead grey tones. 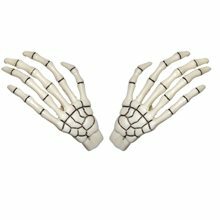 Great for Witch or Zombie Costumes. 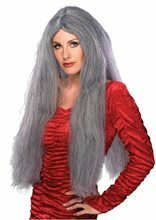 Grave Robber Zombie Adult Wig.Includes: One Grave Robber Zombie Adult Wig. Available Size: One Size Fits Most Adults and Teens. *Makeup, Blood and Costume and Accessories Not Included. Sold Separately. The zombie apocalypse has made its way to the graveyard and this Grave Robber did not escape the contagious virus. 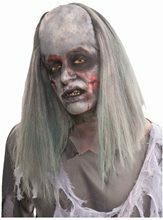 Our Grave Robber Zombie wig features a bald gray scalp cap with long, disheveled grey hair with a light hue of green in some of the strands. It is sure to give you that authentic unsettling undertaker look. 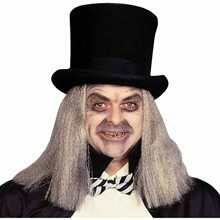 The Grave Robber Zombie Wig will give you the eerie appearance of a mad man for your scary zombie costume. 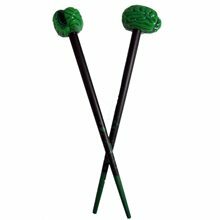 To complete the appearance of your mindless state, be sure to get a zombie make-up kit to blend the bald cap for added realism!